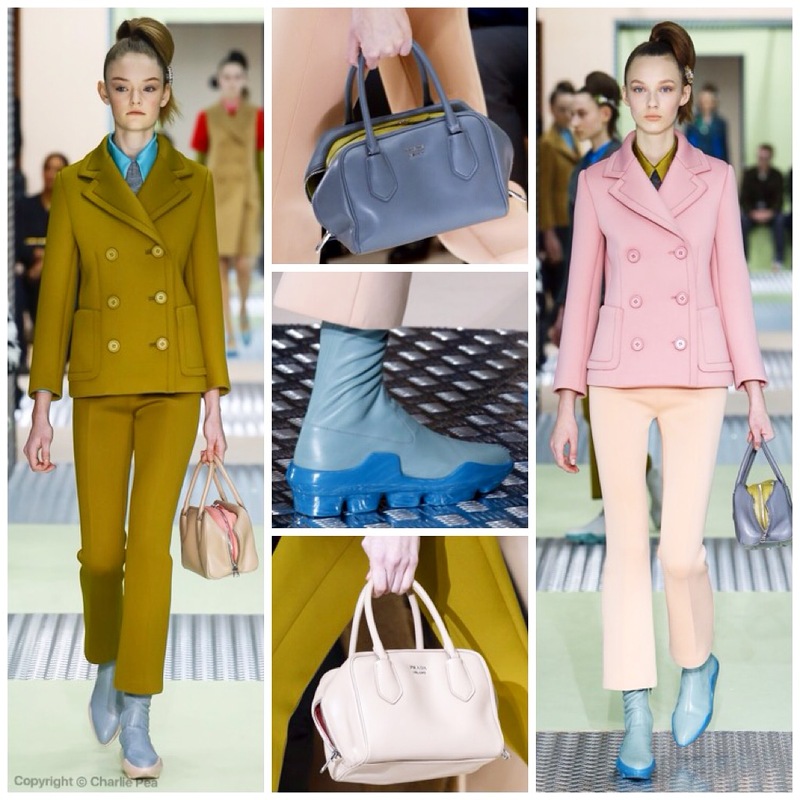 Like Laduree aliens Prada’s models took to the catwalk – a beautiful collection that had a strong, clear and young message, and Sixties vibes but brought right up to date. 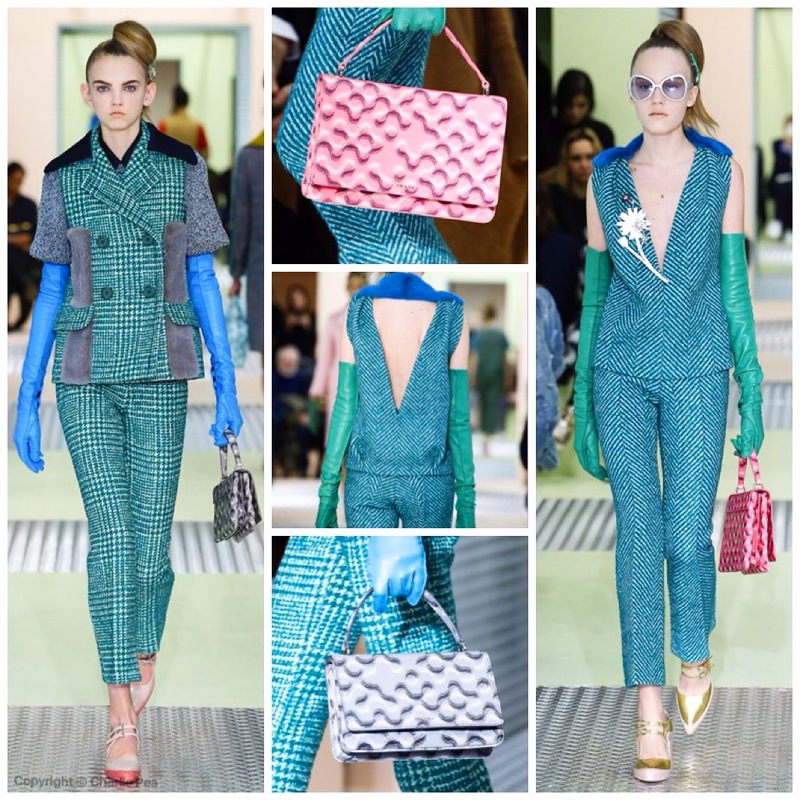 It was all about the combinations: the jarring colours that went from fondant to salmon pink, pea green, mustard and teal, all in one look from prim collar to contrasting brooch, from jacket to trouser. It was a mouth-watering palette with just as much mouth-watering decoration and detail. There was the sheer prettiness of pink empire line dresses that fell somewhere between a Regency or Victorian coming-out-ball number and something from a sweet sixteen, combined with bedazzling jewels in the hair which then worked their way, super-sized, onto inserts in petal-shaped skirts, as morphing floral brooches or traversed a mink bow that perched at the shoulder and navigated its way to a hem. It was the caricature of prim, pretty and proper – handbags, gloves, little fur collars, Mary-Jane shoes, jacket and skirt combinations. But so that you didn’t overindulge in all things too sweet, Mrs Prada pulled out those little stylistic details to prevent it all from getting too saccharine, too Dolly Mixture. 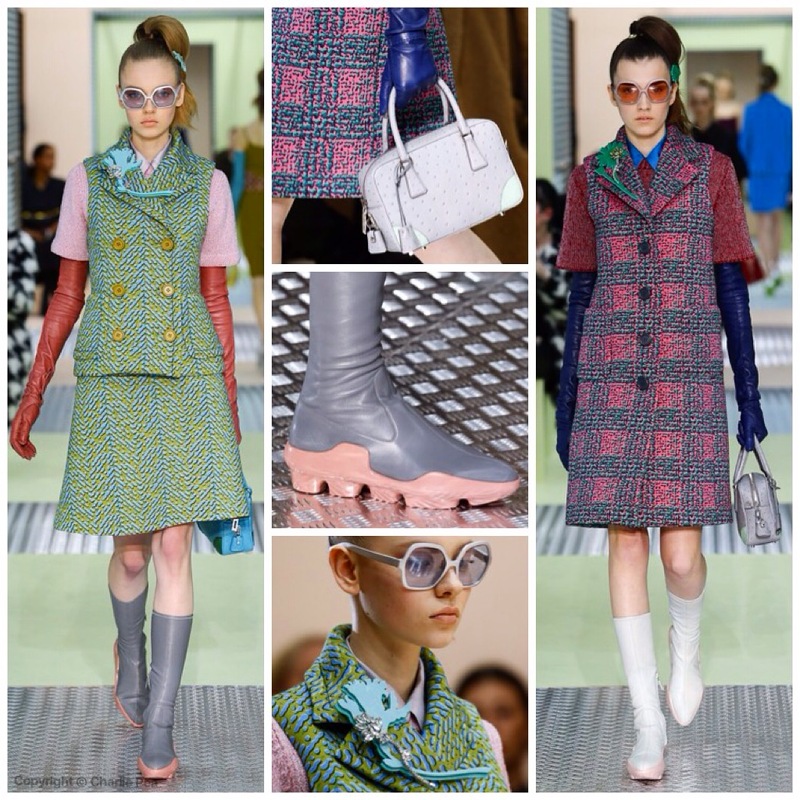 Those rubber shoes that were a wellington-trainer hybrid; the neoprene and printed tweed; that mean hair by Guido Palau – that was all typical Prada. 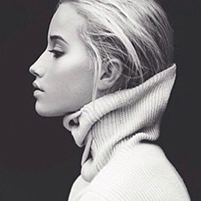 A style spoke among the wheel and just what we look to her for. There were instantly buyable and bankable looks here. Next season “ladylike chic” as it’s so often dubbed gets amplified, a smothered brooch approach to dressing will be de rigueur, as will matching your bitesize sandwiches your clothes just as Prada so kindly did for us here pre-show. Simply put: yum.